DM Vince sits down with Former TSR Bruce Heard. They speak about his history of he got started in gaming and talk about Mystara! Bruce can be found on facebook or at his blog – http://bruce-heard.blogspot.com — Please note Bruce did call in via phone to do this interview. 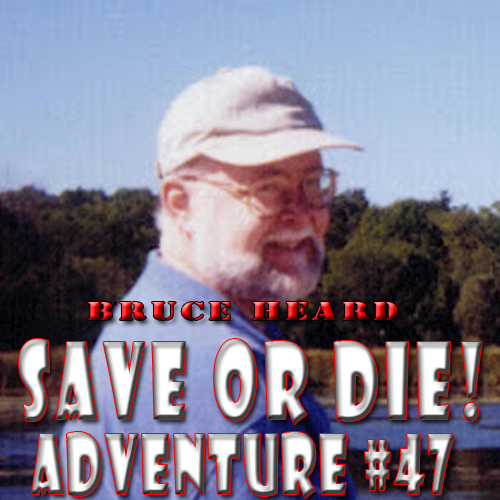 Save or Die Podcast Adventure #46: A new show!? If you never offered anything but these interviews, still, I would salute you. These guys (and gal) are so warm and so interesting to listen to. It is great to fill in the historical gaps. Absolutely love listening to their stories and answers. Mystara-flavored hex maps – I was just talking about that in my blog! Thank you for having Bruce on the show.